Connect the Galaxy S7 with the Gear S3, Level headphones and Samsung Pay app, and live more freely. Make calls with your watch. Put your cards on your watch and phone. Power up without slowing down. Just place your Galaxy on the Fast Wireless Charger without plugging it in, and reduce its total charging time. Connect the Level On Pro to your Galaxy S7 edge and feel the beat. With a simple swipe or tap, they're ready for your commute. Live more freely with the phone that connects you to everything. 4G LTE standalone connectivity only available on Samsung Gear S3 frontier version, a companion for compatible Android smartphones, sold separately. Standalone connectivity requires initial pairing of Gear S3 frontier with compatible phone and separate qualifying wireless plan. Standalone functionality limited if paired phone is now powered on or connected to a wireless network. Network coverage not available everywhere. Consult carrier for details. 2Make at least 5 payments on your Gear S3 without a Galaxy smartphone nearby after inital setup. Number of transactions varies by card network and bank. Reload payment capability by connecting to a Galaxy Smartphone via Bluetooth. 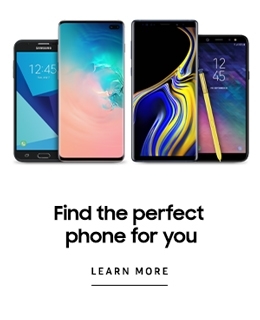 Only compatible with select cards, carriers and Android smartphones; see the Samsung Pay Support page at www.samsung.com/us/support/owners/app/samsung-pay#compatibility for compatibility information.